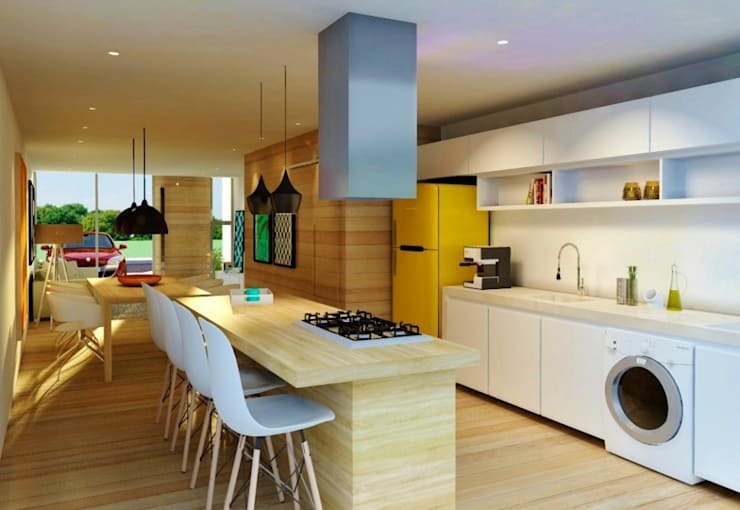 A well designed kitchen is simply composed of a striking combination of colours, lines and materials, in conjunction with loads of smart functional features. When you think about it, none of these elements really require the outlay of a huge amount of money. They just require some smarts when it comes to aesthetics. The only limitation is that it pays to really do your research so you can avoid any expensive missteps or tweaks in the design. So to get started, let's get exploring 10 budget-friendly kitchen designs. It may be a cliche, but it really is true that style can't be bought! Good colour combinations can be enjoyed no matter what the budget. 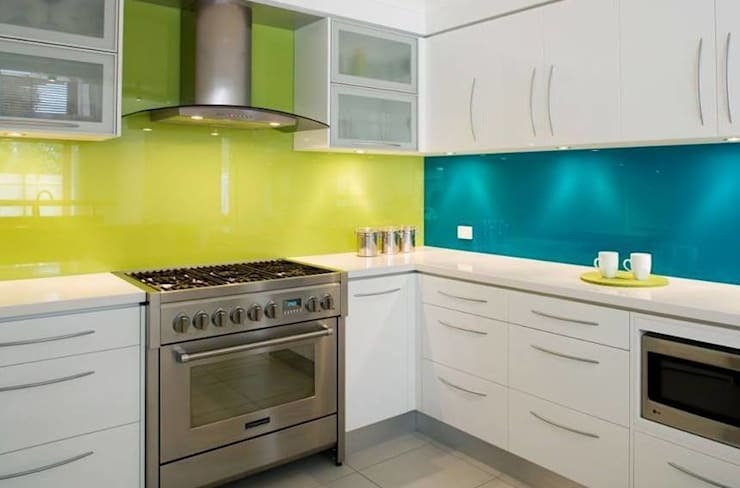 You might even mix up the colours of the splashback to create a striking impression like this. A neutral colour scheme has a soft, sophisticated quality. 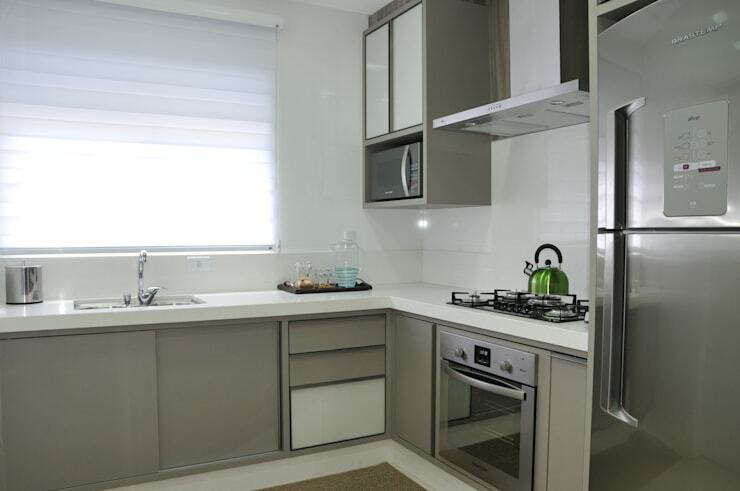 Grey has a quiet elegance that will work beautifully in a small and simple kitchen too. Good textures add a lot of cosy warmth to a kitchen. Wooden finishes are good because even cheap wood has an inherent rich lushness in the soft and varying lines of its grain. If complete wooden kitchen cabinets are beyond your budget, there are good DIY alternatives. All you need to do is get some cheap generic base cabinets and make your own cupboard doors from stained plywood. 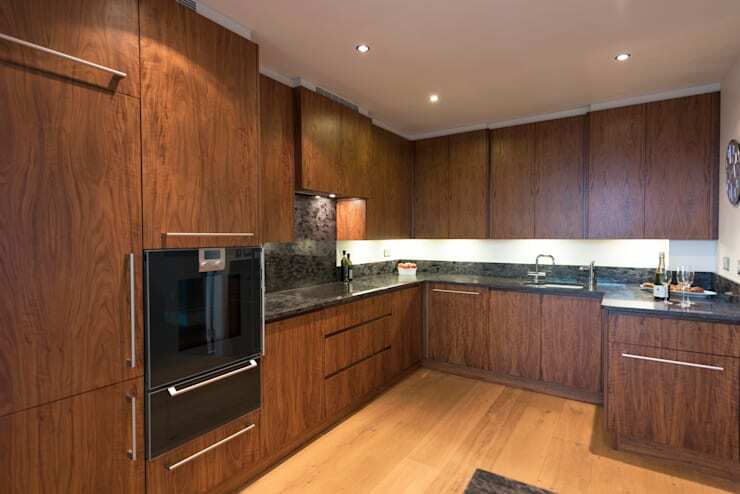 Kitchen cupboards with a glossy finish will make the kitchen look fabulously upmarket. All you need to do is give them a quick clean and they'll make the kitchen look good for ages. This kitchen has another neutral colour palette. 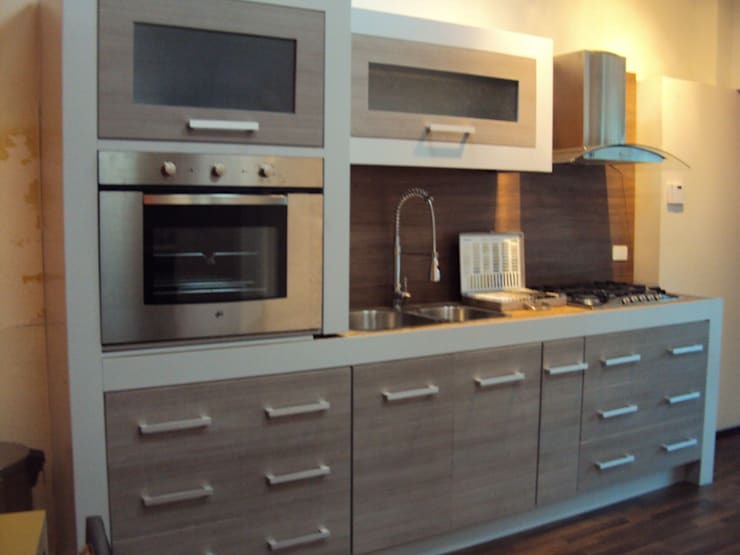 The difference here is that the wall cabinets are made from a pale wood. If you have a strict budget, the upper cabinets are the place to spend your money. This kitchen has a built-in washing machine and a good breakfast bar. It looks incredible, but when you look closer the white kitchen cupboards on the right are really quite basic. We love the retro yellow fridge. The big appliances are usually the most expensive elements in the kitchen, so make them contribute to the design. Here we can see how the chrome finish is an integral part of the steel grey colour palette. 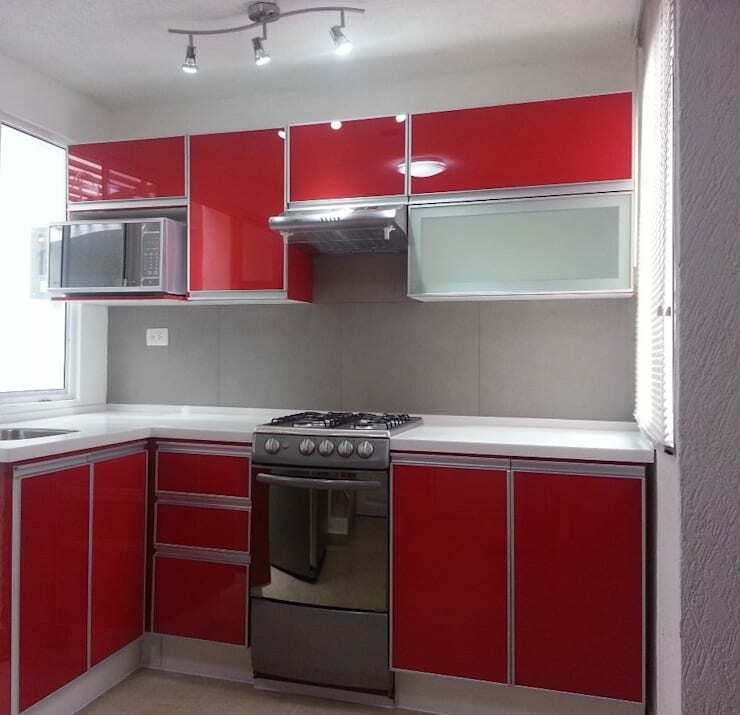 In a small kitchen, the surrounding walls can be painted to extend the boundaries of the kitchen. 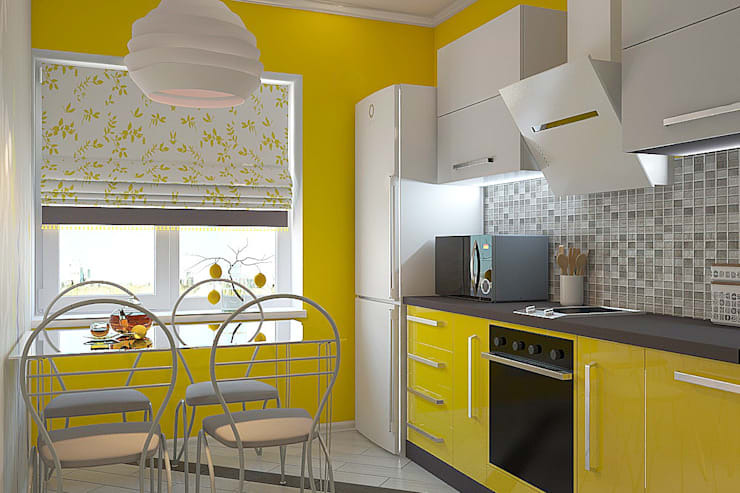 Check out the canary yellow wall in this small kitchen. 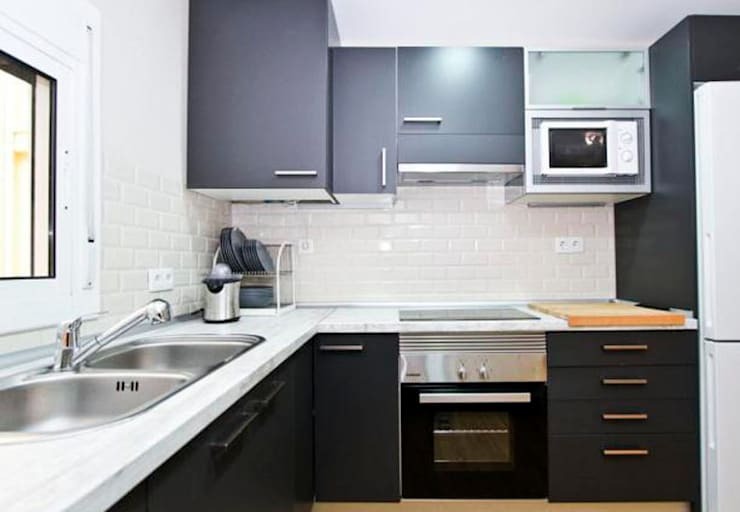 Black is often the last shade we consider when it comes to designing the kitchen. But black adds drama to any creation, as well as bringing that extra dash of formality to standard old kitchen cabinets. Mix it up with lots of white, though. 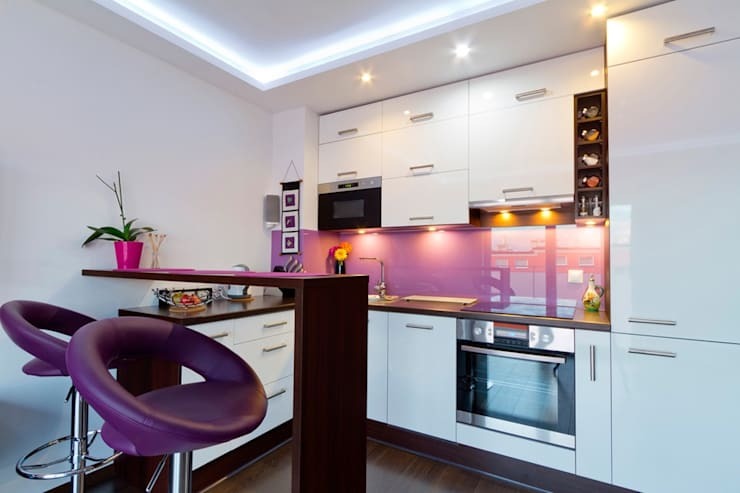 The splashback is generally around eye-level, so it can be a good place to set a style statement in the kitchen. Amplify the effect by creating a colour connection with the other furnishings too. For more home decor inspiration, have a look at: The best colour for every room of your house. What do you think of the kitchen ideas we've explored today?